3D design and modeling is a very useful tool to generate realistic representations without needing to build prototypes, and reducing costs. That is why it isn't only useful in the architecture and engineering field. Thus, we can come across applications to download such as Virtual Fashion that is an excellent utility for the fashion world. 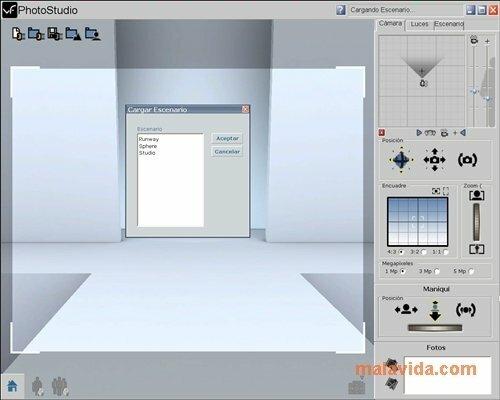 Virtual Fashion is an innovating software of great graphic quality that allows you to design clothes. One of its most important features is the extraordinary fabric simulation that it achieves, and the possibility to perform changes on the clothes that we're designing in real time, making the process much more dynamic. - The possibility to import models from Poser and Daz. - Export to Poser with Hexa mesh and Quad mesh options. - Selection of various degrees of resolution. - New textures and fabrics that are more realistic. Increase your creativity with Virtual Fashion! 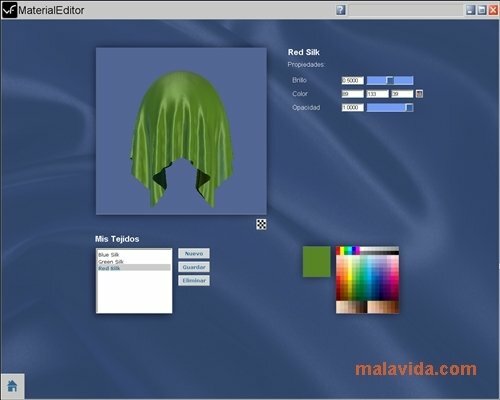 The best fashion design tool! This download requires that you have DirectX 9 or above installed. It's a trial version with certain limitations.